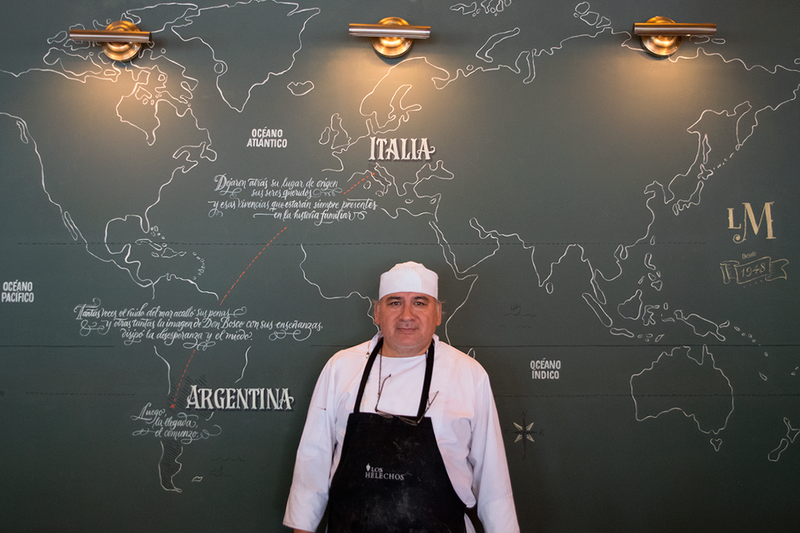 We were contacted to paint a mural that told a brief history of Italian migration. 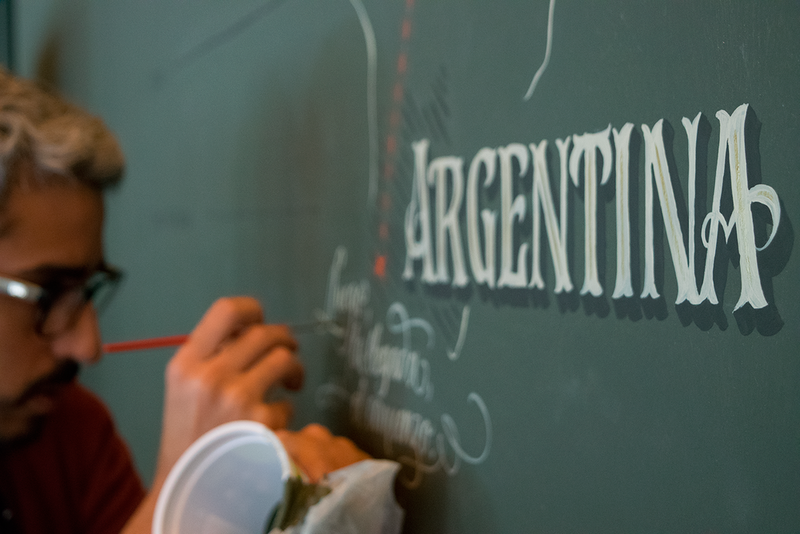 We did gestural calligraphy to illustrate the trip and lettering in the remain of letters. 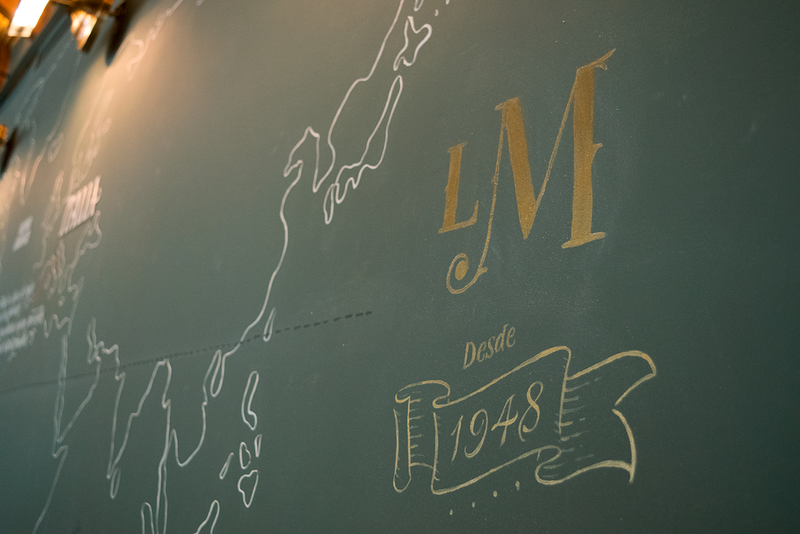 Nos contactaron para pintar un mural que contara una breve historia de migración italiana. 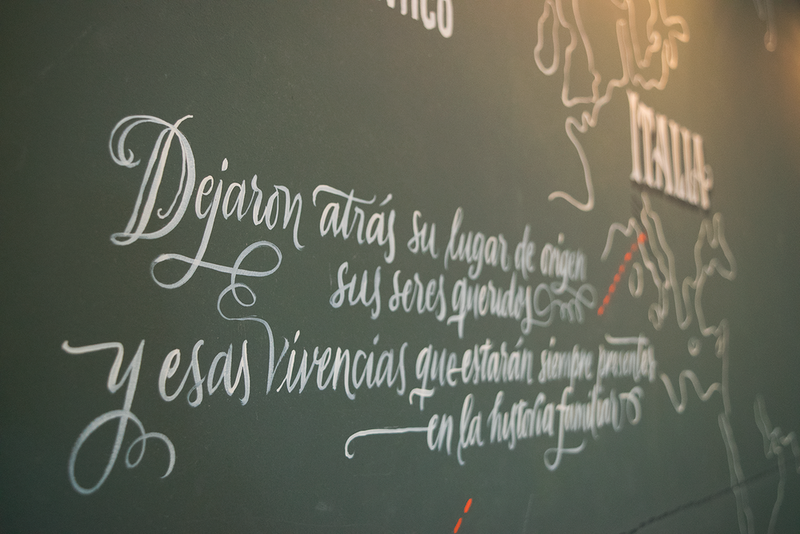 Aplicamos caligrafía gestual para ilustrar el viaje y lettering en el resto de las letras.